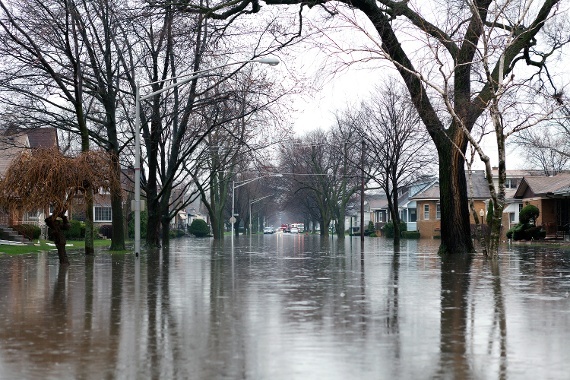 Flood insurance is a hot topic in the real estate vertical right now. While we knew there would be changes, I'm sure many were not prepared for the impact the changes would make to their budget and home values. Changes in policies and premiums for new flood insurance rates are catching some by surprise. Many homeowners have not received updated information yet and still have questions. Homebuyers are realizing they can not afford the new rates in some areas. We have had a few purchase transactions come to an abrupt halt after insurance quotes have been received by the prospective buyer. Beginning at the beginning - In 2012 the Biggert Waters Flood Insurance Reform Act of 2012 was enacted to help NFIP (National Flood Insurance Plan) become more finacially stable. You can review the timeline here for implementation of specific portions of the act. The rates homeowners in flood zones have been paying for the last 40+ years do not adequately cover the flood risks per the NFIP calculations. Government subsidized flood insurance will not be available for many homeowners going forward. Most homeowners will now be paying the full amount of flood insurance, to be increased at a rate of 20% over a five year period. There are some guideines about which homes will be affected immediately. To provide valuable information to those who are facing premium increases, I have asked a local Indianapolis insurance agent some additional questions. Which homes will be affected by increases in flood insurance? If a property is in the special floodhazard area then it will be subject to new rates (anything purchased after 7/7/12 is subject to the new rates, but rate tables weren’t available until 10/1/13, so the issue is just now coming to light). People who are purchasing now are subject to the full rates from the beginning. Folks who purchased after 7/7/12 but before rates were available on 10/1 will be subject to new rates at their next renewal. Are people who bought before 7/7/2012 protected or grandfathered into the subsidized rates? Yes, as long as they do not let their policy lapse and do not become a property with severe and repetitive losses. However, when they do sell the property to a new owner, new rates will apply. There is current legislation being considered to delay implementation of the new rates. Have you heard anything about that? Congress is evaluating proposed legislation that could delay the impact of Biggert Waters by 4 years – 2 yrs to do an affordability study and another 2 yrs to figure out an implementation plan. It is currently just in proposed form so who knows what the final legislation will be and who will receive relief. There have been several attempts to try to address the issue in Congress. Currently the House is evaluating "Flood Insurance Relief & Transparency Act of 2013" but they were unable to get enough Bipartisan support to bring it to a vote before they left for the holidays. At this point it doesn’t seem like it will be a reversal of the legislation, but rather a delay. Any impact from this legislation applies to all flood communities across the entire country. What "features" would cause flood insurance to be higher for one home versus another? The lowest level of a home can make it more or less expensive. A house on a basement is less expensive because coverage for the basement is limited to structure and mechanicals. No basement finishes are are covered by the flood policy. A basement is defined as surrounded on all four sides by ground. If there is a walk-out or basement garage, the NFIP treats that as an enclosure vs. a basement. Enclosures have full coverage for for finishes including drywall, carpet, etc. and therefore, the policies for enclosures are more expensive than for a basement. Could there be more flood areas added, as they finish the maps? If the map is changed and someone is now in a flood area, will their rates go up or would it depend on when they bought? Yes, there will likely be more flood areas added when new maps are released. There's not much guidance regarding how rates would be phased in, but as it currently stands, it looks like they would be subject to the new rates immediately. This would obviously create quite an inexpected burden. Flood maps do have to be reviewed publicly before they can be implemented, so there *should* be some advanced notice before new maps are released. 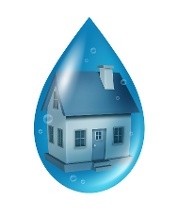 Homes in a flood plain or special flood hazard area will need to obtain a flood certification. What is the process for obtaining a flood elevation certification? A flood certification is easy. We order them and pay a fee. We are provided with the community number and zone a particular house resides in. The elevation certificate is completed by a licensed surveyor and costs $400 - 600. You have provided some quotes for the Broad Ripple and Warfleigh area of Indianapolis. What type of increases have you seen? Depending upon the property, rates that used to be $1200-2000 per year are now coming out in the $4000-6000 per year range – sometimes higher if the property has certain features. There has been a lot of discussion about finishing the flood wall in Broad Ripple. What are your thoughts and what have you heard? Concurrent with the rate discussion is the discussion about finishing the flood wall in our little corner of the world. It is the general feeling of all involved that the panic regarding the rates should not drive a rash decision on the wall orientation. The wall process should keep moving forward, but with the amount of time that will be required for funding, building and then certification, it will still be quite some time before relief is available to those who are in the flood plain. Therefore, we shouldn’t rush into the easiest option just because it is easier, we should ensure the orientation is the right one for the community as a whole. When the flood wall is completed in Broad Ripple, will homeowners see a rate reduction in flood insurance? The plan is that the areas protected by the wall will no longer require flood insurance. The current procedure is that the wall will not be certified until it is completed, which could take several more years (likely no less than five and probably longer than that). There is a movement afoot to try to get FEMA to certify completed portions of the levies, but they do not currently look at it until it is finished. Thank you Elizabeth for answering our questions. For more information about flood insurance or property hazard insurance for your home in Metro Indy - contact Elizabeth Marshall.